From objects of study to subjects of enunciation, Nana Dijo is a cartography of the Black experience through a collection of narratives in first person. Nana Dijo is an urgent historical registry filmed in Mexico, Honduras, Uruguay, Argentina and the United States, which opens a crucial platform of discussion about race politics by deciphering hegemonic constructions of Latinidad. Nana Dijo challenges geo-political borders and critically questions the role of Latin-American nationalism and identity in regards anti-blackness and anti-indigeneity. Nana Dijo confronts coloniality and digs into the vernacular expressions of our elders. Nana Dijo: Irresolute Radiography of Black Consciousness is the first documentary project directed and conceptualized by Bocafloja in collaboration with Cambiowashere, DP. 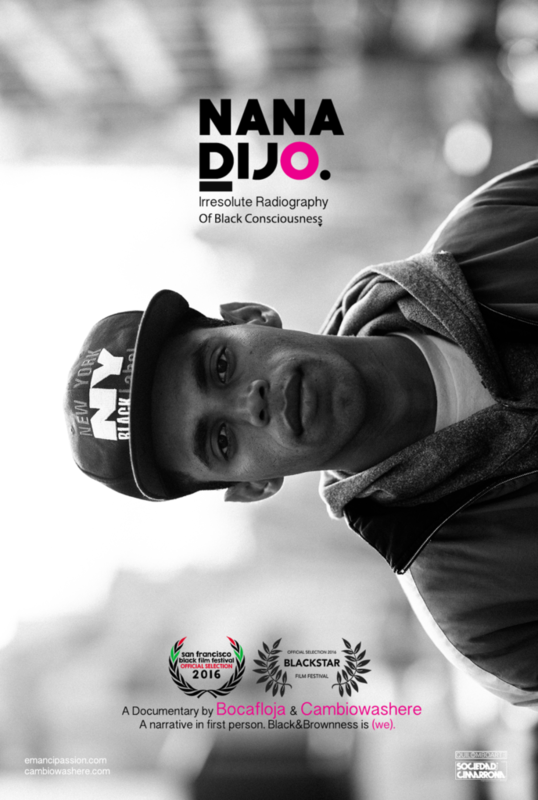 We are honored to have the first Dutch viewing of this documentary Nana Dijo. After which we will have Bocafloja and three Dutch Latinx spoken word performers explore and elaborate on the themes addressed in this movie. This will be an approach to to exploring race- and geopolitics in relation to a broader Latinx experience.